Jaguar Dallas team of highly qualified technicians is focused on providing exceptional service in a timely manner. Whether changing your oil or replacing your brakes, we always maintain the highest standards for delivering the best service possible, every time. Proudly serving the following cities: Fort Worth, Irving, Arlington, Southlake, Coppell, Rockwall, Frisco, McKinney, Allen, Garland, Carrollton, Addison, Grand Prairie, Euless, Rowlett, Murphy, Wylie, Sachse, Lake Highlands, Highland Park, Farmers Branch, and Richardson, Texas. 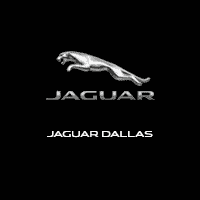 In September 2016, Jaguar Dallas became part of Snell Motor Companies and joined Land Rover Dallas at their location on Central Expressway just north of Royal Lane. These two iconic British brands have combined for the first time in Dallas as Jaguar Dallas. This union will offer Dallas and surrounding communities the largest selection and service in the region. Since 1986, Snell Motor Companies has specialized in Land Rover vehicles and expanding to include the British counterpart, Jaguar brings expanded value to the customer seeking a full range of performance vehicles from SUV, sedans, and coupes. Online inventory is refreshed daily. Jaguar Dallas encourages drivers to experience the Jaguar art of performance at our center. Schedule a test drive in any one of the latest Jaguar models including the Jaguar F-PACE, Jaguar E-PACE, Jaguar F-TYPE, Jaguar XJ, and Jaguar XE. If you prefer an Approved Certified Pre-Owned Jaguar or a pre-owned luxury vehicle, Jaguar Dallas offers a complete selection of used Jaguar inventory. Jaguar offers the highest standard in certified pre-owned programs. Jaguar Dallas specializes in Jaguar vehicles providing service customers with proven expertise through factory-trained service advisors and technicians and using only Genuine Jaguar parts. Within the Jaguar Dallas facility is Snell Collision Center, a Jaguar North America certified repair facility. Snell Collision Center is authorized to perform comprehensive collision repairs on aluminum-bodied Jaguar vehicles restoring them to pre-collision condition according to the Jaguar Engineering standards. Jaguar North America has awarded Snell Motor Companies the prestigious Pinnacle Award for excellence 16 times recognizing their top performance in customer advocacy, sales and business operations. * Original in-Service date is the earlier of new-vehicle retail sales or in-use date, as reported to or by Jaguar North America, LLC. See your local authorized Jaguar Retailer for complete terms and conditions of the limited warranty and service coverage.